36 degrees in the shade, dusty roads and not a cloud in the sky. 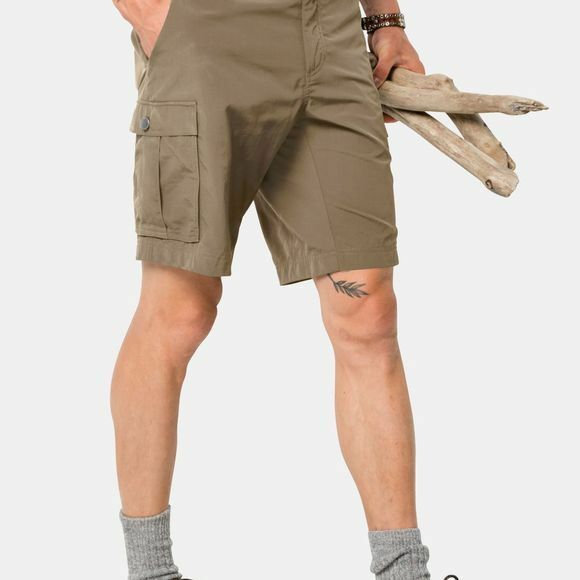 It's a good job you're wearing your Mens Canyon Cargo Shorts. These lightweight shorts are ideal for hiking or travelling in hot weather. And with six pockets for your essential little items, you might not even have to carry a day pack. The thin Supplex fabric protects you from UV rays and, if you work up a sweat or get caught in a shower, it dries again in no time.